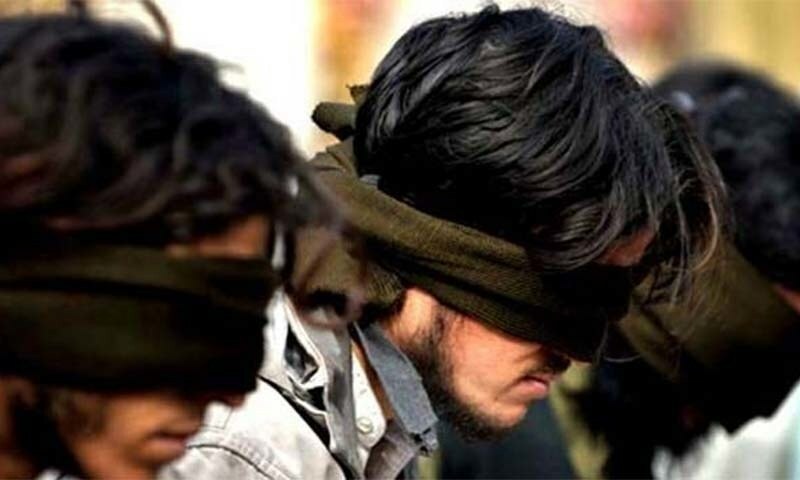 Six ‘terrorists’ suspected of involvement in the Peshawar Agricultural Training Institute (ATI) attack which took place earlier this month were arrested during raids in the areas bordering Charsadda and Mohmand Agency, according to official sources. Suicide jackets and explosive material were recovered from the possession of the six ‘terrorists’, who are said to have links to a sub-group of the banned Tehreek-i-Taliban Pakistan Swat faction, the sources said. The main culprit behind the attack remains absconding despite raids being conducted by security forces in Bajaur Agency, where he was reported to have been present. Efforts are underway to arrest him. Three terrorists dressed in burqas stormed the ATI hostel situated near Peshawar’s University Road on Dec 1, killing nine people and injuring 37 others. The attack was claimed by the TTP. Both police and military officials said the attackers had been coordinating with handlers based in Afghanistan. At least nine suspects were arrested during a pre-dawn search operation carried out by law-enforcement agencies on the outskirts of Peshawar the day after the attack. KP Police’s Counter-Terrorism Department also registered an FIR of the deadly ATI attack against unknown persons on the complaint of Station House Officer (SHO) Town Ahmedullah Khan on charges including terrorism, murder, attempted murder and encounter. Police have extended the investigation and sent body parts of the militants involved in the attack for forensic testing. Peshawar has for decades been a victim of militancy due to its status as a front line region in the ongoing war against militancy as well as its proximity to the restless tribal areas and the lawless Pak-Afghan border. Pakistan Army had launched Operation Raddul Fasaad earlier this year in the aftermath of a fresh resurgence in terror attacks in the country. The operation seeks to eliminate the “residual/latent threat of terrorism”, consolidating the gains made in other military operations, and further ensuring the security of Pakistan’s borders. Hundreds of suspected terrorists have reportedly either been killed or arrested in raids carried out by security personnel since the start of the operation. The number of attacks in the country has fallen around 70 per cent over the past year, due to a combination of the military offensive against Taliban bases along the Afghan border and government initiatives to tackle militancy, but attacks on security and civilian targets continue to occur.